Remember 2001, when the beleaguered Star Plus channel launched KBC and Kyunki Saas…. to instantly garner the top spot in the Indian TV market. Now 7 years hence, Colors channel has Anandi to its help and is slated to become the number one channel after overtaking Sony and Zee to already become the second most watched channel after leader Star Plus. Colors has been aided by a mix of shows which have unique content and even other shows like Jai Shri Krishna, Big Boss have paid off for the channel. 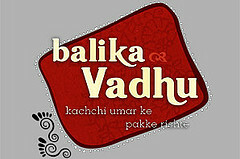 In fact Balika Vadhu has become the most watched serial on television. Such is the scale of effect of the serial that it has even become a 8-8:30 p.m. phenomenon, whereby people venture out of there home only after 8:30 and malls, restaurants experience lower business during those times (much like what was witnessed during the morning time of Ramayan and Mahabharat). The credit of the success of Colors could easily be given to its promotional campaign and balance of programming mix. Also, the channel is owned by Viacom and TV18, probably among the best production houses in US and India respectively and are known for their innovative and quality offerings.